We’re all equally passionate. Our passions aren’t treated equally. I admit that to fully understand the context of Sacha's talk I had to dive into Google and work out who Harry Styles is (since I am not always a popular culture whiz!). After the talk, I started to think about the passions that young women may have, and how this relates to whether they are encouraged to pursue study, and a career, in engineering. Imagine a young woman who is a skilled dancer - ballet, contemporary, hip-hop etc. - or was a gymnast. She would have an intuitive understanding of force, momentum and rotational inertia etc. developed from perfecting spins, jumps, turns and balances. But how do we value that dancer or gymnast's passion and skill when suggesting a course of study? Do we encourage her to explore the mathematics and physics of how objects move and deform? 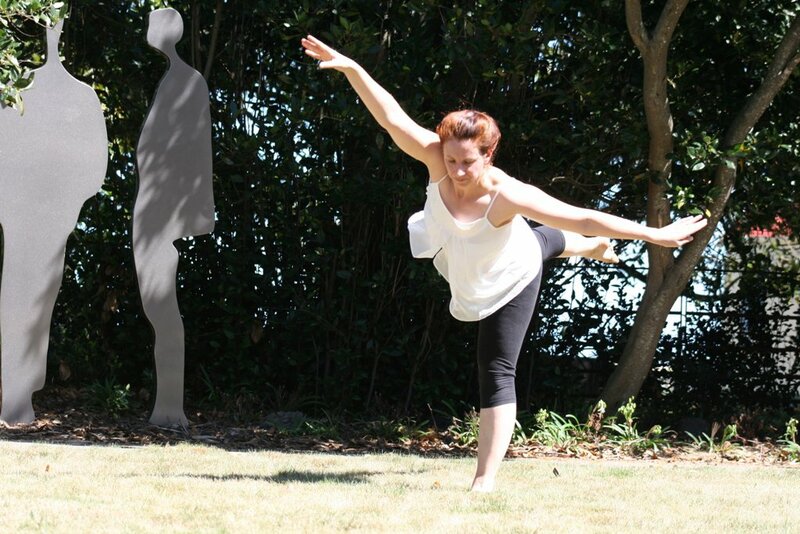 Rosalind - solo performance - Wallace Trust gardens, 2011. Photo credit Ruth Ames. Dancers build success out of failure. If you dance (or do gymnastics) it's best done without a fear of falling/failure. That trait turns out to be something I think is very useful in life and in higher education. Imagine a young woman who is a talented musician, who embraces music theory, but can also bring a score to life. What we encourage her to do as she chooses a course of study? Her innate knowledge of sound and frequency could position her to build signal analysis skills. Who knows, she could one day become part of the team at Soul Machines who bring avatars to life. Imagine a young person who is a culinary star - baking pavlovas that never fail, and meat that is cooked to tender perfection. (Hmmmm - my vegetarian self does not quite understand the last phrase!). Could their knowledge of the delicate science of egg whites, or the chemistry of the Maillard reaction (loved by carnivores) mean they should see themselves as a future chemical engineer, specialising in the food of tomorrow? Let's all commit to treating other people's passions equally. Our world can only be better for it. Posted in Uncategorized and tagged dance, music, Sacha Judd, Soul Machines on July 27, 2017 by rarc002.